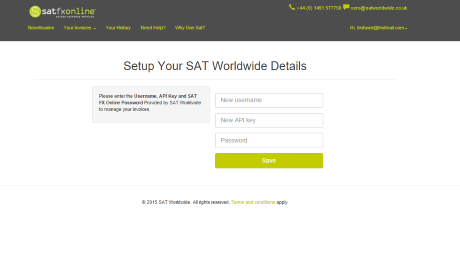 Register as a SAT Worldwide customer. Who are SAT Worldwide? Why do I need to register as a customer? Receive an email within 24 hours confirming that your account is ready to use. 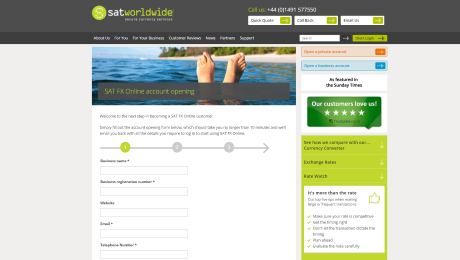 Sign in to SATFX Online and start saving time and money managing your international payments..
SATFX Online was created to enable Xero users to manage their currency invoices in a simpler, more efficient and cost effective manner. All invoices in Xero are downloaded automatically into SATFX Online where you will save money through better-than-bank exchange rates, you can manage currency risk by purchasing or selling currency forward, make part payments and decide on the most appropriate payment method. Added to this, all transactions are reconciled back to Xero. The platform has evolved through customer feedback and interaction with Xero accountants to create a customer focused add-on. How do Xero and SATFX Online integrate? 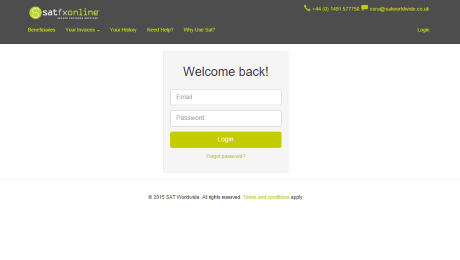 When you login to SATFX Online you are asked to connect to your / your clients Xero account. This connection enables two way synchronisation of bills, invoices and payments to be updated automatically. Saving time and money on foreign exchange transitions couldn’t be easier. "What SATFX Online has done is exciting for us as accountants and indeed for Xero users who want to strive for seamless and cost efficient methods to transact globally using Xero. The reason it works is because SAT have demonstrated what we all know in business works – listening and responding to customers - it’s a user friendly solution. I will undoubtedly recommend our team use it alongside the Xero accountants that they work with." “Integrated tools that make managing payments easier or more affordable are increasingly becoming a front of mind topic for many small businesses, so it's very encouraging to see the existing integration with the Xero platform go even further with this latest release from SATFX Online." SAT Worldwide offers a simple and proactive currency service that delivers competitive exchange rates, tailored to every customer’s individual needs. © 2018 SAT Worldwide. All rights reserved. Terms and conditions apply.